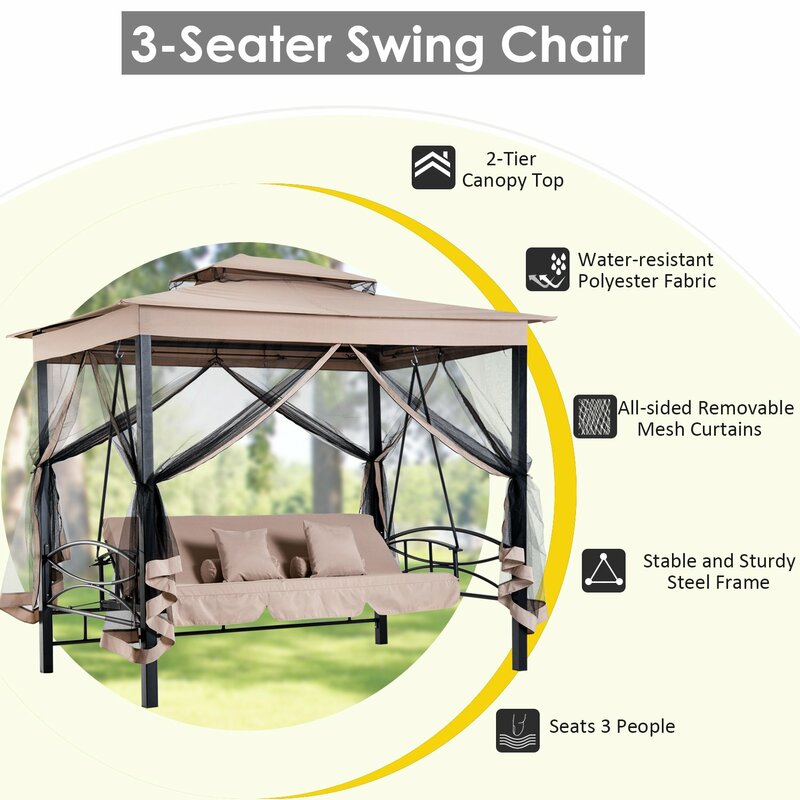 The 3 seater multi-functional swing chair from Outsunny can be converted to a double hammock in seconds. With two 6cm-thick cushions, two soft pillows and two neck rolls included, it offers optimal comfort whether you are sitting or lounging. The 2-tier canopy top features water and wind resistant, while the removable zippered mesh curtains on all sides protect you against mosquitoes and allow for fluid air circulation. The sturdy steel construction with a 340kg weight capacity allows you to relax on the comfortable swing chair hammock with your loved ones and create the ideal leisure space.